Knowing how to turn paid advertising into profit is one of the most important business-building skills you can acquire. This is true in every business, but even more important if you’re building a business on Amazon. The truth is: if you want to build a thriving, lasting business on Amazon, you need to advertise, and you need to learn how to do it profitably. You see, with advertising, you have control. Control over how many people will see your listing. How many customers you’ll have. How many sales you’ll make. In other words, you have control over your business. If you want to learn how to use Sponsored Products the right – and profitable – way, then you need to learn the right things, from the right people, in the right place. And during these 12 weeks you’re going to hear EVERY secret, process, and tool Cherie Yvette uses for her 7, 8 and 9 figure Amazon clients. Here’s a brief overview of what we’ll be covering in each Act. Act 1: Play To Win – Here, we’ll look at how to spot the current trends and use them to your advantage. We’ll also talk about how to “spy” on your competitors, how to dig for the most profitable keywords to go after, and decide if a keyword is worth pursuing for advertising purposes. Act 2: Law And Order – In this Act, we’re going to talk about search term mining (in other words, how to dig deep to find keywords that your competitors know nothing about), how to structure your campaigns, and how to run both search and placement campaigns. Act 3: Establish Reputation – Here, we’ll talk about scaling, growing, and optimizing everything from your ads, to your campaigns, to your entire business. We’ll talk about the important metrics, what to look for and what you can ignore, how to read and understand the data, and more. I’m struggling to get high volume sales for my product – This course will show you how to systematically get your products in front of more shoppers and buyers on Amazon. My advertising campaigns are expensive and my ACoS is too high – We’ll show you how to reduce your ad spend and grow your product sales profitably with Amazon Advertising. I’m not able to clearly see the impact that Amazon Advertising has on my business or the advantage of trying it – You’ll learn how to leverage Amazon Advertising to grow your business 2-3x. I’m running multiple ad campaigns and spending a ton of money, but I don’t know what’s working and what’s not – The boot camp will show you how to organize your advertising campaigns to make them easier to manage and optimize for improved performance. You will know immediately what’s not working, so you can stop doing it, and what is working, so you can do more of it. My competitors are outranking me in the search results. No matter how much I bid, I can’t get my ads shown – We’re going to teach you advanced strategies to capture market share in the most competitive markets, even when competing with Amazon’s own brands and top nationwide brands. I’m not getting any visibility or sales on my most important keywords – In the boot camp, you’re going to learn how to use Amazon Advertising to build sales history with the algorithm, even on a small budget, to increase your product sales consistently over time. I’ve invested a considerable amount of money in packaging and branding for my product, yet no one is searching for it on Amazon – We’ll show you how to establish category leadership to increase brand searches and demand for your product on Amazon. In the Amazing Showdown, you’ll be getting 3 months of bootcamp. That’s 12 weekly calls, and 12 Q&A; calls over those 3 months. 24 hours of training where Cherie takes you by the hand and walks you step by step into mastering sponsored ads. Not only that, you’ll ALSO get 3 months of monthly training updates, Q&A;, and live walkthroughs with Cherie. By the time you are done, you will feel confident in your ability to correctly run sponsored ads to be profitable. We also are giving you our 30 days of training satisfaction guarantee. If you aren’t satisfied, we’ll promptly give you your money back. We want you to be happy. We want you to be successful and we want to take any risk away from you so you don’t have to stress or worry. We got you. If I’m being completely honest, the chance to work with Cherie is a no brainer. And I hope you invest in yourself to learn this skill set from a TRUE MASTER. Click the button below to purchase and we’ll see you on the bootcamp! 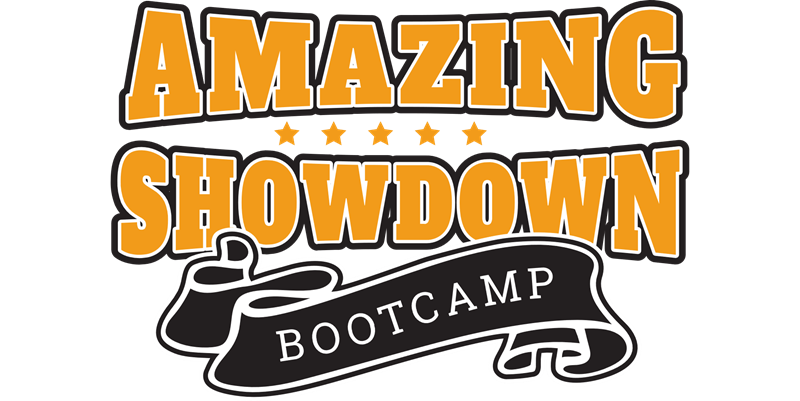 AMAZING SHOWDOWN BOOTCAMPSpot the current trends and use them to your advantage. “Spy” on your competitors, learn how to dig for the most profitable keywords to go after, and decide if a keyword is worth pursuing for advertising purposes. Find keywords that your competitors know nothing about, structure your campaigns, and run both search and placement campaigns. All times are GMT +6.5. The time now is 06:52 PM.